Click the button below to add the Gray Hair Conditioner #Gray Hair Natural Conditioner# to your wish list. Moisturize and condition without weighing your hair down using our unique formulation for gray hair. 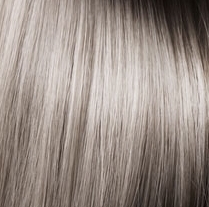 Gray hair tends to be dry, brittle and frizzy due to the coarseness of the strands. Gray hair also tends to trap more debris that can lead to yellow, dull and flat looking hair and can lose its nutritive moisture barrier, which can explain the dryness and frizz of gray hair. This nutrient enriched conditioner penetrates hair to protect and moisturize from the inside out, leaving your hair healthy, shinier and silky smooth without being weighed down. Our Gray Hair Nutritive Conditioner nourishes so that your hair appears brighter and beams with the look of health. You will instantly feel your hair become softer, smoother and nutritively shiny. Restores gray hair, leaving it fresh and vibrant without weighing it down. Free of sulfates, parabens, and artificial colors and fragrances. Even the most dehydrated gray hair regains strength, softness, and shine. Hair that is well moisturized is more resistant to frizz, tangles and split ends. 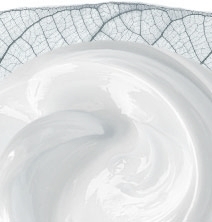 Nutritive ingredients boost radiance and volume for healthier, fuller and more beautiful hair. Argan oil is absorbed by hair shafts to moisturize from deep within, increasing softness and making hair more manageable. It also works to tame frizzy hair and split ends, creating sleekness and shine while protecting hair from environmental elements. Red Raspberry Seed oil helps soothe coarse, dry and damaged hair. It is a rich source of nutritive Vitamin E and A. 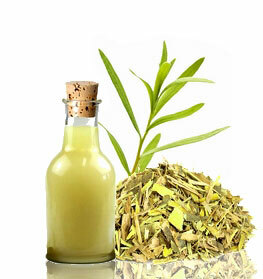 It may also be useful in protecting against the slow yellowing process of gray hair caused by the sun. Aloe Vera nutritively conditions gray hair to make it soft, healthy and shiny. Jojoba, Olive, and Coconut Oils help moisturize, nourish and revitalize to give you a healthy head of hair. Apply an adequate amount of conditioner for gray hair from the mid-shaft to ends first, like you're making a ponytail on wet, shampooed hair. • Protect your color by rinsing hair with cool/cold water. • Try to limit heat styling as much as possible. When heat is applied to hair, it can potentially cause damage and lessen the vibrancy of your hair color. Aloe Barbadensis (Aloe Vera Hydrosol), Argania Spinosa (Argan) Oil, Rubus Idaeus (Red Raspberry Seed) Oil, Raphanus Sativus (Daikon Radish Seed) Extract, Rosa Rubiginosa (Rose Hip Fruit) Oil, Vaccinium Macrocarpon (Cranberry Seed) Oil, Olea Europaea (Olive) Oil, Aleurites Moluccana (Kukui Nut) Oil, Simmondsia Chinensis (Jojoba) Oil, Cocos Nucifera (Coconut) Oil, Citrus Aurantium Dulcis (Orange Wax), Behentrimonium Methosulfate, Cetyl Alcohol, Hydrolyzed Soy Protein, Citrus Sinensis (Orange) Peel Oil, Cymbopogon Martinii (Palmarosa) Oil, Foeniculum Vulgare (Sweet Fennel) Oil, Cymbopogon Flexuosus (Lemongrass) Oil, Glycerin, Caprylyl Glycol, Guar hydroxypropyltrimonium, Citric Acid, Panthenol (Vitamin B5). This conditioner does not weigh my hair down. My hair is coarse and has frizz to it and this product makes it manageable. Great product that really works on gray hair. I tried lots of conditioners before I found this product! I love this conditioner I use before I shampoo and makes my hair soft :) . Smell is very fresh. I bought this alongside the shampoo for grey hair and it leaves my hair silky with a lot of shine. It also eliminates the grey frizz and since using it there is no yellow like before. I am very satisfied with the purchase and have already got my girlfriends buying it. I purchased the conditioner and shampoo for my mom to help remove the brass color out from her grey hair. She has used this for less than a week before going to he hair dresser and she got many complements on her hair tone from other customers and her own hair dresser. Needless to say she is extremely happy.She said her hair felt really soft and tangle free after using this products. Highly recommend. It is the best product on the market for me to further remove the dull gray turning it to a white/silver look. The conditioner is moisturizing on my thick African hair leaving my natural hair softer. It feels good and smells good. I prefer this product whenever I can find it. I get compliments on my hair from all races when I use the conditioner and shampoo combination. My hair is very soft and not dry. I use very little conditioner with fantastic results. I got this because it had great reviews. I am young 39 and have a lot of gray I decided to end the dyeing battle and let my gray hair fly. I get soo many complements on my hair because I take good care of it and it isn't yellow. People think I purposely gye it this color. When I use this and the shampoo there is no brassiness and it is extremely soft. I love it! I decided to try this condition for my gray hair in order to keep it really healthy. This conditioner is so gentle and nourishing. I am very pleased with my results so far and think it will only get better. Cruelty-free is essential to me as well and this company is doing it right. The conditioner has a great smell, leaves my hair feeling smooth, I have to shampoo every other day since using. It is pricey. This conditioner seemed to make my fine hair soft and shiny, but it may be a little too heavy in the oil department. I recently started using the gray hair shampoo, conditioner and the herbel gel. I am sensitive to beauty products and stick to a product for a very long time once I find what works for me. From the first use, all 3 products are winners. I have used the products 5 times now and there has been a gradual change to my hair that has made my hair now healthier, and softer with a more stable color sheen to it. My hair is ash blond/brown with graying at the sides and some throughout. I have my hair stylist weave subtle shades of blond within the gray and my natural color. These products are proving to be an excellent change for me. I love the ingredients! I love made in the US! I love cruelty free! I just got this conditioner and have only used it twice now but I am very pleased with how soft my hair is and especially like the shine that lasts throughout the week. Using this product along with the shampoo has made my hair softer and more full. I really like the way the condition leaves my extremely dry hair.